What does the triple bottom line have to do with cool places? First of all, what is the triple bottom line (3BL)? It’s a business, organization or community that accounts for financial as well as social and environmental bottom lines – people, planet, profit. To answer the next question, how does a company know if it’s indeed triple bottom line, check out the B Corporation (Benefit Corporation), which has a rating system. Economic/profit: If it doesn’t make money, it isn’t going to grow, much less be sustainable. Because cool places embody what people truly want in a community, this is rarely a problem. 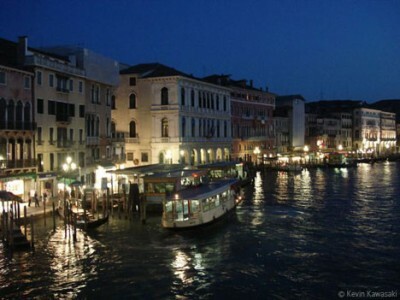 If anything, it’s too much of a problem, such as in Venice (pictured) where it’s so popular that a short gondola ride now costs $150. Social/people: The key here is that a place becomes so desired, regular people can’t afford it. Cool places have a strong focus on providing housing that is financially attainable through several methods. They also focus on emphasizing the local culture and economy, from supporting local businesses to investing in a civic-oriented tourism. Environmental/planet: Cool places and towns prioritize walking over driving, green building over convention construction, and compact inner city development vs suburban/exurban sprawl. In fact, the Environmental Protection Agency (EPA) coined the term smart growth that is most used to describe re-investment in cities. There are many, many more reasons to invest in cool towns/places under each bottom line, and we’ll keep adding to the list. Resource: 3BL Design was created to build next gen websites/webapps for, well, 3BL clients, especially CoolTown-oriented entities. Can you reset the text on the last three entries? It looks like the photos are too big, and the wrap-around text is cut off. Thanks for the feedback, I really appreciate it – how’s that?